The great cookbooks on Indian multi-regional cuisine are, for me, where the curry journey gets serious. Meera Taneja, Pushpeshpant Pant and Julie Sahni all take a panoramic view of the classic recipes across the country – and each book, in its own way, helps convert you from ‘spice pedestrian’ into ‘spice pilgrim’. 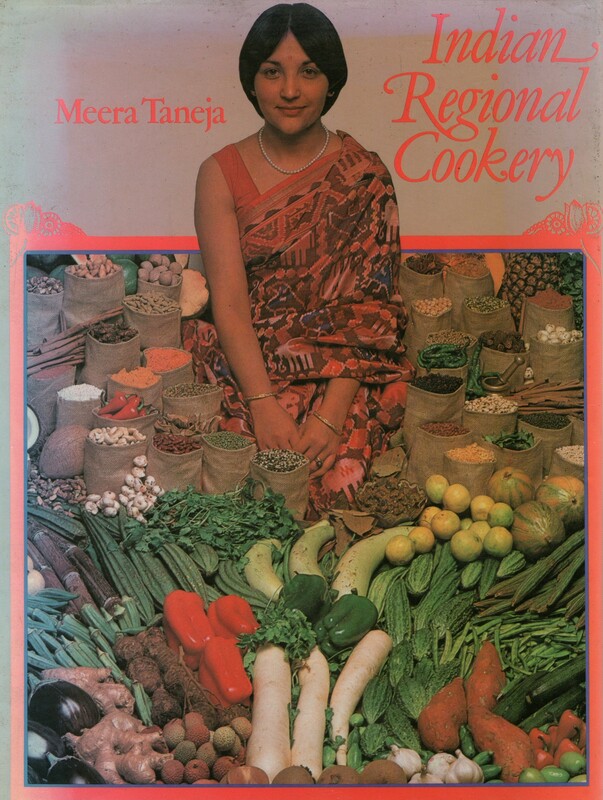 Google ‘best Indian recipe book’ (as I often do… adding ‘gourmet’, ‘authentic’, ‘collectable’, etc to take me to new volumes) and the name Meera Taneja comes up time and gain. 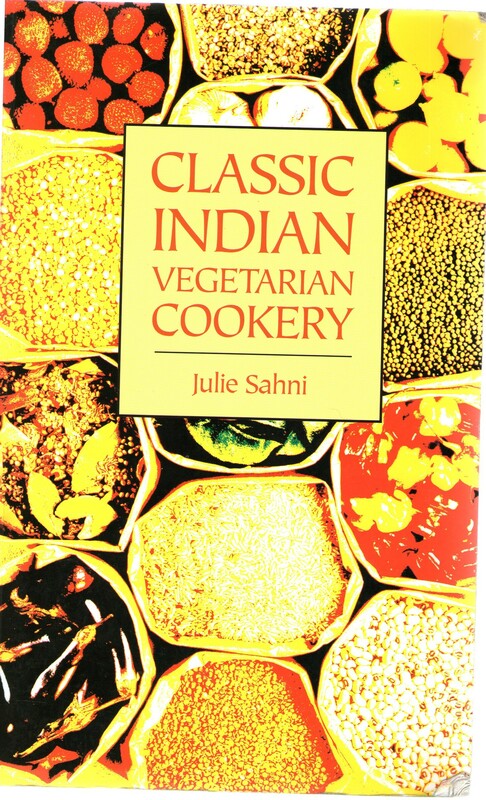 Given that Indian Regional Cookery was first published in 1980, it’s a tribute to the author that copies and reviews of the book are to be found all over the web… more than 30 years later. My mint condition, first edition copy reached me a month ago, and Taneja’s ‘Moong beans and coconut’ and ‘Gujurati stuffed aubergines’ were both spectacular. I cannot wait to attempt the ‘Fenugreek leaf fritters’. Indian Regional Cookery is a landmark – written way ahead of its time – and steers you across the regional masterpieces with skill and feeling. (And if the styling of the photos reminds you ever-so-slightly of 80s album covers, then that’s all part of the charm.) The fact it’s published by Mills & Boon also gives you a bodice-ripper on your spice shelf! Seriously good book. Moving on, we come to the ‘Odyssey’ that is Pushpesh Pant‘s India Cookbook. No other book I know shouts its metric weight from the spine (‘1.5 KG’) and no other cookbook I’ve ever used takes you on a journey through 1,000 recipes. First, though, the list of criticisms. 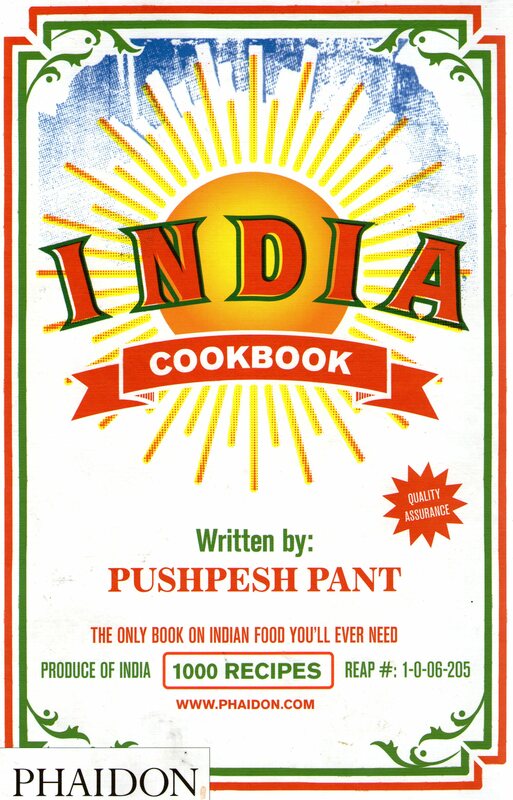 As literally dozens of reviewers point out online (India Cookbook stirs up a lot passion), the book is rich with typo’s, missing ingredients, missing cooking stages and extra ingredients that never get never get factored in (not to mention an entire recipe that’s repeated verbatim on consecutive pages – 318/19, if you’re interested). But, for me, all this carping misses the point (kind of like criticising War & Peace for having too many characters). I love the India Cookbook, and as a family, we’ve cooked over 20 recipes from this meisterwerk. As with every new curry, we write an instant review on the page, and I’ll let the food critics at our table speak for themselves: Broad beans with coriander ‘Yum… never, EVER enjoyed broad beans so much!’; Tadka dal ‘Oh, oh, oh! Heavenly’; Thali Peeth ‘It’s bread, Jim, but not as we know it… massive, earthy flavour’. I could quote more, but you get the point. The recipes in this book take your cooking to a new level – and with 1,000 to choose from, you will never have an ingredient in your home or in your Asian foodstore that you cannot transform into something delicious. The India Cookbook is definitely not for beginners – but if you want a walk on the wild-side with the Tolstoy of India cooking, Pushpesh Pant is your man. Peek inside the cover of our copy of Classic Indian Vegetarian Cookery, and you’ll find the following words scribbled inside: “April 14. Cowabunga Julie, you is on fire!! Just ate your: braised butternut and jaggery; 5 jewels dahl; saffron mango chutney, Nirvana bread. Incredible.” Not the most balanced piece of prose – but sometimes you have to shout it rather than write it. Classic Indian Vegetarian Cookery succeeds on so many levels that it’s difficult to know what to praise first. The intro’ is simply a master-class in understanding and cooking Indian food. The recipes not only work – but actually redefine your understanding of the words ‘delicious’ and ‘curry’. (If you need convincing, please try Sahni’s ‘Courgette in sweet milk sauce with chilli flakes’.) Time after time, she helps you create perfection on a plate. And if that’s not enough, every recipe starts with a mouth-watering overview that places the dish in time and place – before Sahni seduces you with her pillow talk. Maybe it’s just me, but phrases like: ‘fragrant butter-laced’, ‘silky rice smothered in’ et al make me almost as hungry as the food itself. There may be a more thrilling curry cookbook out there than Classic Indian Vegetarian Cookery – but Littlewoods would need to offer huge odds for me to chance a fiver on it. This entry was posted in Greatest Indian cookbooks. Bookmark the permalink. Are those regional books still available commercially? I have never come across any of those before, maybe that’s because I am in goa. Regarding Indian Regional Cookery by Meera Taneja. I took the original photographs for the book in 1980.